Is hastening death of a Jew allowed for a non-Jew? The practice of euthanasia-whether active or passive-is contrary to the teachings of Judaism. Any positive act designed to hasten the death of the patient is equated with murder in Jewish law, even if death is hastened by only a matter of moments. No matter how laudable the intentions of the person performing an act of mercy-killing may be, the deed constitutes an act of homicide. One nineteenth-century commentator finds this principle reflected in the verse "But your blood of your lives will I require; from the hand of every beast will I require it; and from the hand of man, from the hand of a person's brother, will I require the life of man" (Genesis 9:5). Fratricide is certainly no less heinous a crime than ordinary homicide. Why then, having already prohibited homicide, is it necessary for Scripture to prohibit fratricide as well? R. Ya'akov Zevi Mecklenberg, in his commentary on the Pentateuch, Ha-Ketav ve-ha-Kabbalah, astutely comments that, while murder is the antithesis of brotherly love, in some circumstances the taking of the life of one's fellow man may be perceived as indeed being an act of love par excellence. Euthanasia, designed to put an end to unbearable suffering, is born not of hatred or anger, but of concern and compassion. It is precisely the taking of life in circumstances in which it is manifestly obvious that the perpetrator is motivated by feelings of love and brotherly compassion that the Torah finds necessary to brand as murder, pure and simple. Despite the noble intent which prompts such an action, mercy-killing is proscribed as an unwarranted intervention in an area which must be governed by God alone. The life of man may be reclaimed only by the Author of life. So long as man is yet endowed with a spark of life-as defined by God's eternal law-man dare not presume to hasten death, no matter how hopeless or meaningless continued existence may appear to be in the eyes of a mortal perceiver. אמר לו קלצטונירי: רבי אם אני מרבה בשלהבת ונוטל ספוגין של צמר מעל לבך אתה מביאני לחיי העולם הבא? אמר לו הן. השבע לי. נשבע לו. מיד הרבה בשלהבת ונטל ספוגין של צמר מעל לבו. יצאה נשמתו במהרה אף הוא קפץ ונפל לתוך האור. The executioner said to him: My teacher, if I increase the flame and take off the tufts of wool from your heart, so that you will die sooner and suffer less, will you bring me to the life of the World-to-Come? Rabbi Ḥanina ben Teradyon said to the executioner: Yes. The executioner said: Take an oath for me, that what you say is true. Rabbi Ḥanina ben Teradyon took the oath for him, and the executioner immediately increased the flame and took off the tufts of wool from his heart, causing his soul to leave his body quickly. The executioner too leaped and fell into the fire and died. Not only is the suicide of the executioner apparently condoned, but his act of "mercy", hastening the death of R. Chaninah earns him a place in the world to come. Is, then, euthanasia on a Jew allowed if performed by a non-Jew? אֶחָד הַהוֹרֵג אֶת הַבָּרִיא אוֹ אֶת הַחוֹלֶה הַנּוֹטֶה לָמוּת. וַאֲפִלּוּ הָרַג אֶת הַגּוֹסֵס נֶהֱרָג עָלָיו. וְאִם הָיָה גּוֹסֵס בִּידֵי אָדָם כְּגוֹן שֶׁהִכּוּהוּ עַד שֶׁנָּטָה לָמוּת וַהֲרֵי הוּא גּוֹסֵס. It appears that all the opinions you quoted in the first part refer to the former. But in the case of the later, when the death is caused by another human it is (seemingly allowed) not so forbidden even by a Jew for a Jew, in other words, if a Gentile, say, tortures a Jew it is allowed to hasten his death. See also R' Moshe's IM Y"D 2, 174-2. The question is so fascinating that I found another aspect to it. 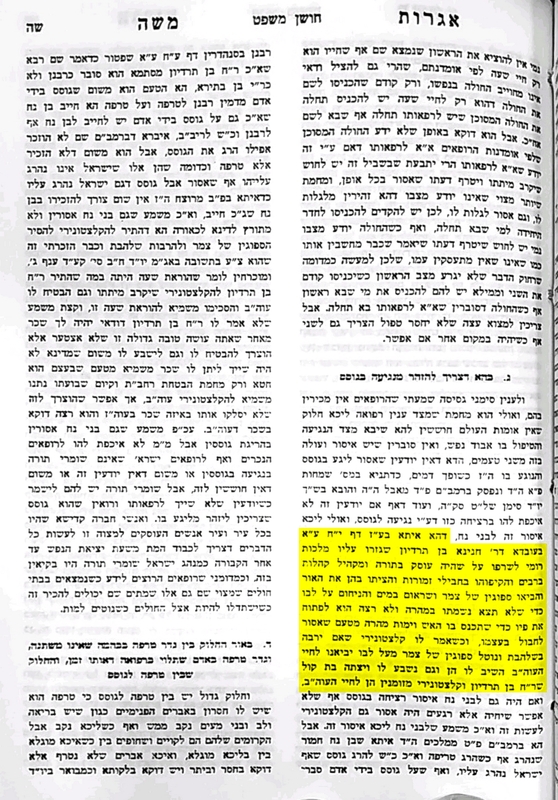 As it happens many times with the stories in the Bavli, they are repeated elsewhere with different details, so I was looking for the same story in a different Masechet. אמרו עליו על רבי חנינא בן תרדיון שפעם אחת נתחלפו לו מעות פורים במעות של צדקה והיה יושב ותמיה ואמר אוי לי שמא נתחייבתי מיתה לשמים. So in the beginning of the story R"C was wondering if he was sentenced to death by the heavenly court. עד שהיה יושב ותמיה בא קסטינר א״ל רבי גזרו עליך לכורכך ולשורפך בתורתך ולישראל עמך. ועמד וכרכוהו בתורתו והקיפוהו חבילי זמורות. והציץ בו האור והיה אור מצטנן ומתרחק ממנו. עמד קסטינר בבהלה. א׳׳ל רבי אתה הוא שגזרו לשורפך? א״ל הן. א״ל ולמה האור מכבה א״ל נשבעתיו בשם קוני שלא יגע בי עד שאדע אם גזרו עלי מן השמים המתן לי שעה אחת ואודיעך. And the fire couldn't touch R"C and the executioner wondered if he's one who's sentenced to death. But R"C sweared the fire not to touch him until he knows the verdict. היה קסטינר יושב ותמיה. אמר הללו שגוזרין מיתה וחיים לעצמן למה עול מלכות עליהן? א"ל קום לך וכל מה שמלכות רוצה לעשות - בי יעשה. אמר לו ריקה, הסכימה עלי גזרה מן השמים ואם אין אתה הורגני הרבה הורגים יש למקום ... אלא סוף שהמקום עתיד ליפרע דמי מידך. וידע קסטינר שכך היא המדה מיד עמד ונפל על פניו וכיון אבד והשמיע קולו מן האש ואמר באשר תמותי אמות ושם אקבר באשר תחיה אחיה מיד יצתה בת קול ואמרה רבי חנינא בן תרדיון וקסטנירו מזומנין לחיי העולם הבא. What we see here is that R"C already knew he was sentenced by the court and he was גברא קטילא. As we know that the Halacha says that one who hurts גברא קטילא and even kills him is Patur, as he's already considered "a walking dead". Therefore, hastening R"C's death wasn't a sin at all, after he was declared as "dead" from the Heaven. Now some Halachic thoughts about גברא קטילא. Not the answer you're looking for? Browse other questions tagged gentiles halacha-theory death medicine . May a non-Jew have an abortion? May one say kaddish for a non-Jew? Does anyone know where this prayer comes from? Is a doctor halachically required to inform you about side effects related to the meds that he prescribes you? Non Jew breaking Shabbos for a Jew for a Non Jew Permissible? Is one allowed to save someone with psychological disorders on Shabbos?